Whether you are a dog owner or not, we all know how unpleasant it can be to come across dog poo on the pavement or playing field and even worse if you step in it or go through it with your pushchair or wheelchair. Not only does it smell unpleasant but also it is unhygienic and spreads diseases - some of which can have a life-changing impact. We know that most dog owners in the town are responsible and clear up after their pets. However, we have been running a communications campaign throughout 2018 to remind all dog owners about the importance of cleaning up the little 'messages' left by their dogs. As part of the communications campaign we have put up posters around our playing fields and residential areas to draw people's attention to the problem. 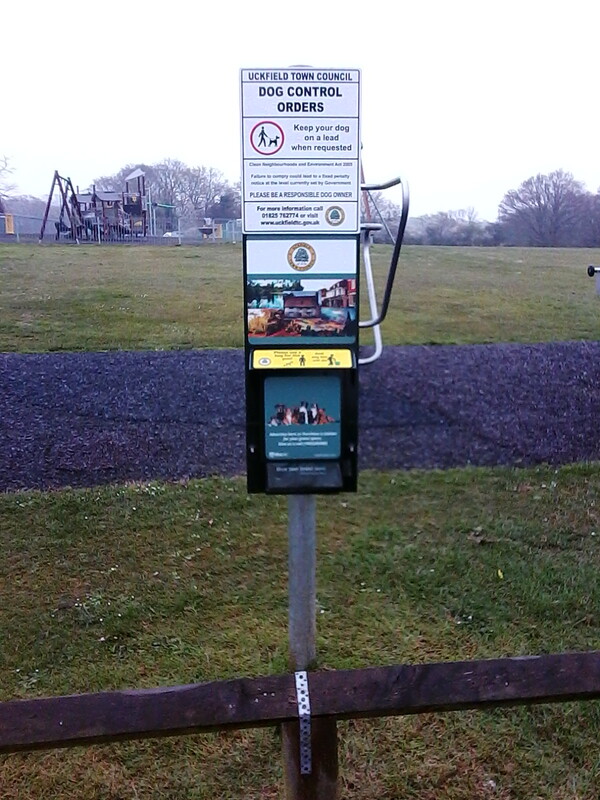 Uckfield Town Council has introduced new biodegradable dog bag dispensers at green space sites across Uckfield. 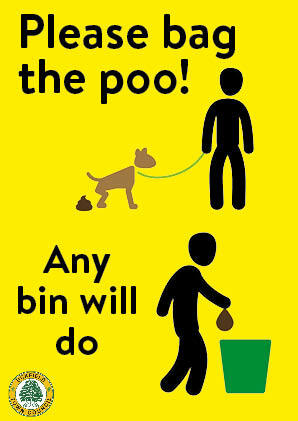 This initiative follows the successful communications campaign last year to encourage dog owners to “Bag the poo…any bin will do”. The new dispensers are provided by TiksPac and are designed to be paid for by local businesses advertising on the stations. Hempstead Meadow Local Nature Reserve.